Of all the yearly events in the year, there is one that truly should be reserved as a holiday and it isn't. Allhallows Eve, aka Halloween, one of the best events of the year. It isn't just about the candy, or the costumes, be they spooky, creepy, epic, or otherwise (though they are a nice touch) but it is the surrounding lore and myths that give that night that mysterious feeling that always seems to accompany it. Double Fine took a bit of this feeling, mixed in a ton of comedy and created Costume Quest and its sequel. 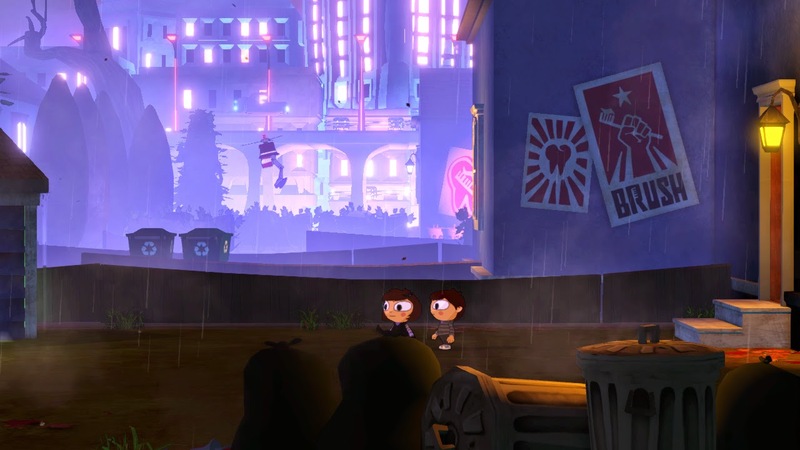 In the original Costume Quest the peoples of Repugia came over to the human world on Halloween night to harvest candy which, after stealing the main character’s twin, sets everything into motion for the sibling’s first adventure. Once it was all said and done, things didn't stop there for the siblings. Having saved the other and Halloween all at the same time, they are back once again to save Halloween from an Evil Dentist who, through time travel erased Halloween. The sugar coated holiday was replaced by an oppressive regime of proper dental hygiene and hourly flossing. 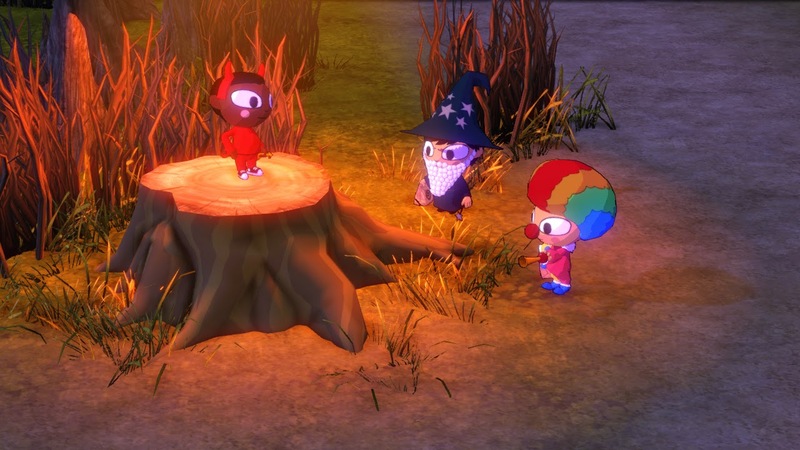 Costume Quest 2, like it’s predecessor, is an RPG based upon exploration and interactive combat. The Twins adventuring together this time around will find themselves in the past and the future Trick O’ Treating from house to house collecting Candy in order to save the world from its terrible fate at the hands of evil! What impressed me about the original stays true to the sequel. While exploring the various locations there is a sense that each area is a zone onto itself and not just a carbon copy. While technically performing the same actions of going door to door, finding hidden objects or playing hide and seek as part of quest lines, the area and the enemies present help to impart a different feeling. This keeps things fresh just long enough for players to move to the next section without feeling repetitive. 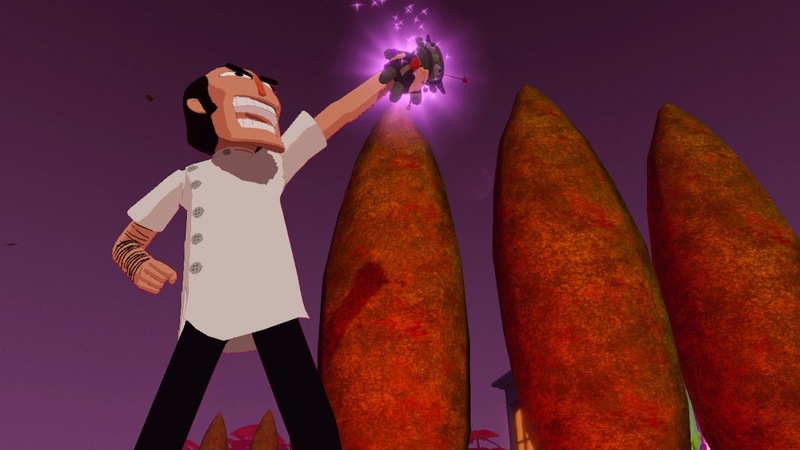 The most interesting thing with Costume Quest was that regardless of dressing up as a wizard by donning a hat, a sheet, and a cotton beard, once thrown into battle that costume imbues the player with the power of that role allowing the awesome ability to launch fireballs at your opponents. Now not every costume is as epic as a Wizard, but the variety of costumes grants both different options for exploration as well as different possible tactical options in combat. A Wizard’s light can reveal clues hidden to the normal eye, the Pterodactyl can blow away piles of leaves and papers in the way, Thomas Jefferson is the smooth talker and more. My personal favorite, and I wouldn’t want to spoil it, is the last costume that players will receive while playing the story. Needless to say that I never thought it would be that useful in combat, but it turns out it was nothing short of epic. Some costumes are designed to be funny while others are designed to be useful. Whether the costume falls into the first or second category, it is the player’s actual style that will dictate which ones are used. Just because a costume was granted at the beginning does not mean that it becomes obsolete later like many RPGs in regards to weapons and classes. Sometimes players will have to go out of their way to find the parts of these costumes before continuing on, sometimes, like my favorite costume, it will just be granted through a continuing of the story. Others are optional and have no bearing on the progression of the adventure. Ensuring that costumes are not made obsolete are purchasable upgrades that also change the appearance of the costumes both in and out of combat. Facing off against those that would otherwise forever ruin Halloween is done in a team turn-based system. With your party going first, combat, while seeming simple enough actually requires attention and proper timing. Each of the three character is assigned a button for both attack and defense. Pressing these buttons at the proper time is key in order to maximize or minimize the damage to the enemies or yourself. As the game progresses new abilities are unlocked such as a follow up combo and a counter attack. Each one of these adds a new level at just about the right point in time to keep things interesting. As smooth as the adventure was in the original costume quest, the second seemed to suffer from frame rate issues while on the PS4. It wasn’t all the time, but some zones just seemed to crash down in terms of lag that was noticeable enough to strain on the eyes as not everything was moving at the same speed. Some may find that the adventure is not very long. To some it will be a good thing, so others it may feel like somewhat of a drawback. Costume Quest 2 with upwards of ninety percent of the side quests being completed took between six and seven hours. Surprisingly it was shorter than the first even before adding in the DLC expansion which had clocked around the nine to ten hours. All in all Costume Quest 2 like it’s predecessor while not being overly long is a solid RPG with a fun story and enough jokes to keep you laughing without anything ever feeling old.